A few days ago, I showed you what was on my phone’s camera roll. 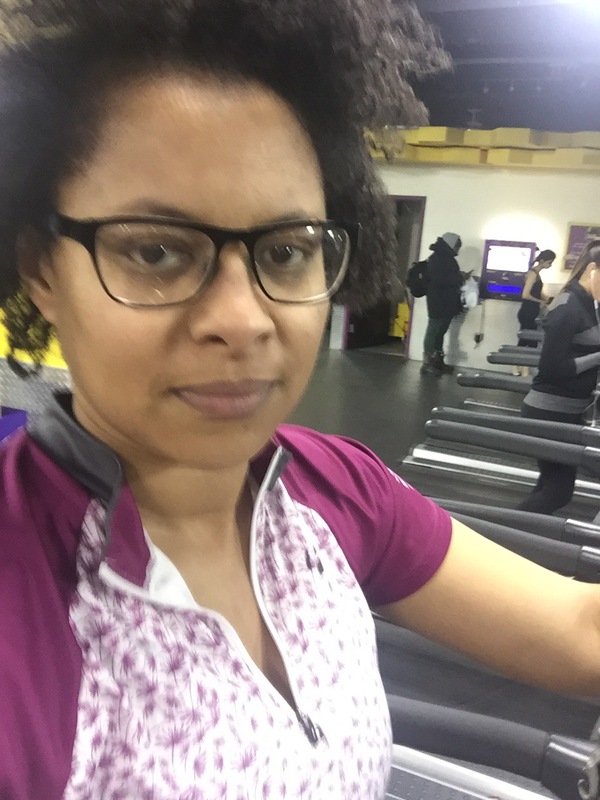 Today, I’ll let you in on what I’m thinking about my workout experiences. I returned to my gym yesterday. I haven’t been there in a while and it shows in more ways than one. I’ve lost some of my fitness and strength so it’s not a surprise that I can’t do some of the things I was doing a few months ago when I was going to the gym and/or running almost everyday. No surprise there. If you don’t do the work, you won’t get the benefit. Now that I’ve decided to get back to it, I have a lot of work to put in. But what was a surprise is how much my gym itself has changed. 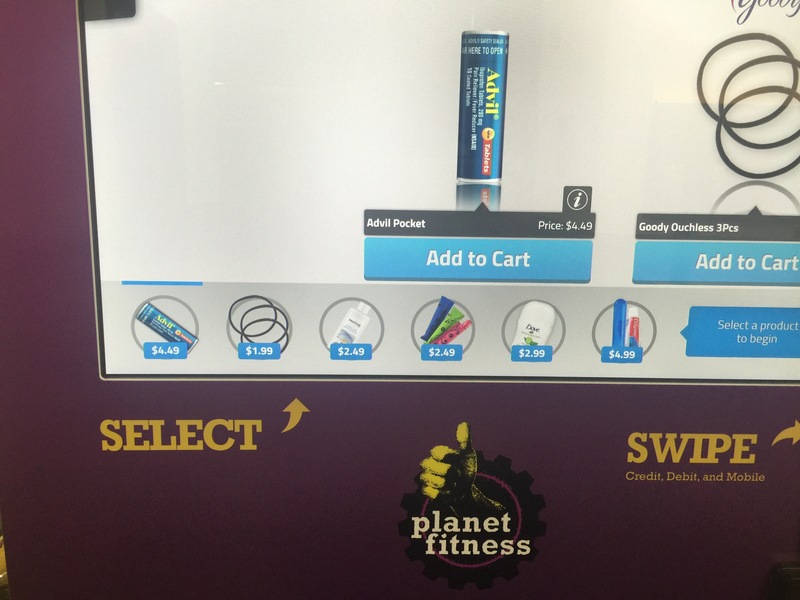 Now there’s a vending machine where you can indulge your M&Ms cravings or buy energy shots. At the bottom of the screen is all the items available for sale – $20 headphones anyone? Convenient and a little pricey. But I don’t know how I feel about it all overall. I have enough of a challenge crossing the street to walk on the other side to avoid buying candy in the corner stores. But when I’m on the treadmill feeling like I’m dying, I don’t know if I’m strong enough to avoid swiping my card for peanut M&Ms – my favorite. I mean, I could avoid almost anything else. Candy in the gym, what’s next? Free pizza? Oh wait, they already do that! Wow, good luck with that. I also have a penchant for Peanut M&Ms (and any other M&Ms if I’m honest), so I definitely can sympathise with your (hopefully only ever anticipated) struggle. Good for you, Matt. I hope to have my own at-home or at least in-building fitness center someday but there’s lots to love about the public space too – sometimes I have competitions with my treadmill neighbors to keep pushing harder. So it’s not all bad. Thanks so much for the comment! Enjoy those peanut M&Ms. You had me at peanut m and m’s. Love those! It would be hard for me to pass those up. Candy at the gym? That just seems mean. I would have a hard time resisting too! I wish there was a planet fitness nearby bc I heard there was a pizza night! I’m at la fitness and they have water that is almost 2 dollars. Thank for the comment, Ally. M&Ms are a little random, but once my gym was having their “birthday” celebration so they were giving out free pizza. At least it had veggies on it! But $20 headphones??? I doubt they sell many of those, but that’s funny! 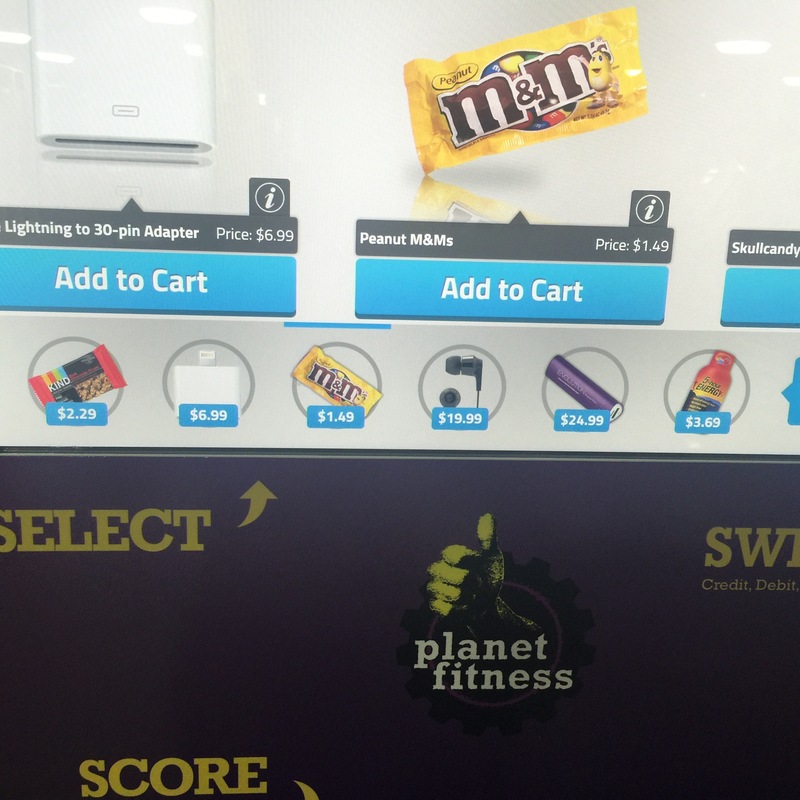 When I was younger my family used to attend a gym and they had a vending machine with candy bars. It was one of my favorite things about going to the gym! I’ve always been more of a dancer than a runner/walker and that gym didn’t really have any dance classes. It always struck me as odd that they sold candy bars though! It’s a year later and you are still in the gym. I would love to hear what the changes are from 2016 to 2017.